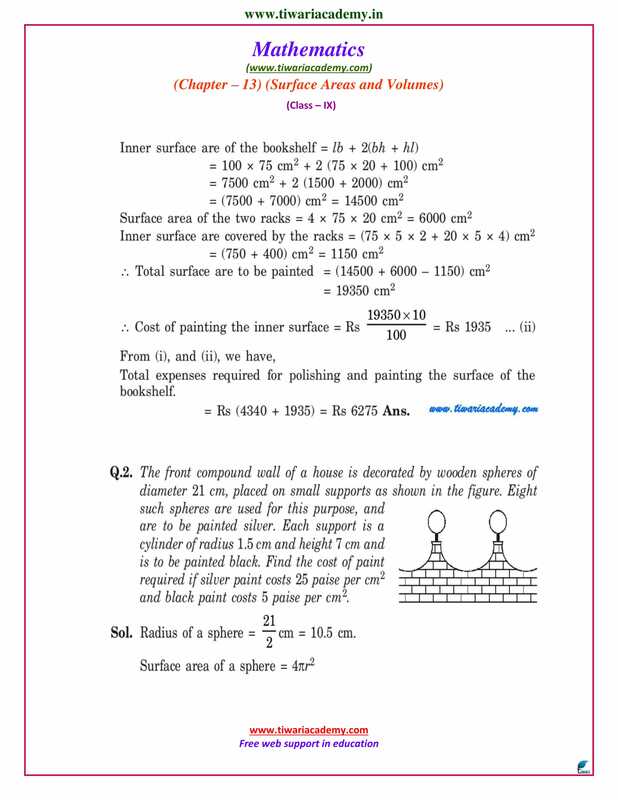 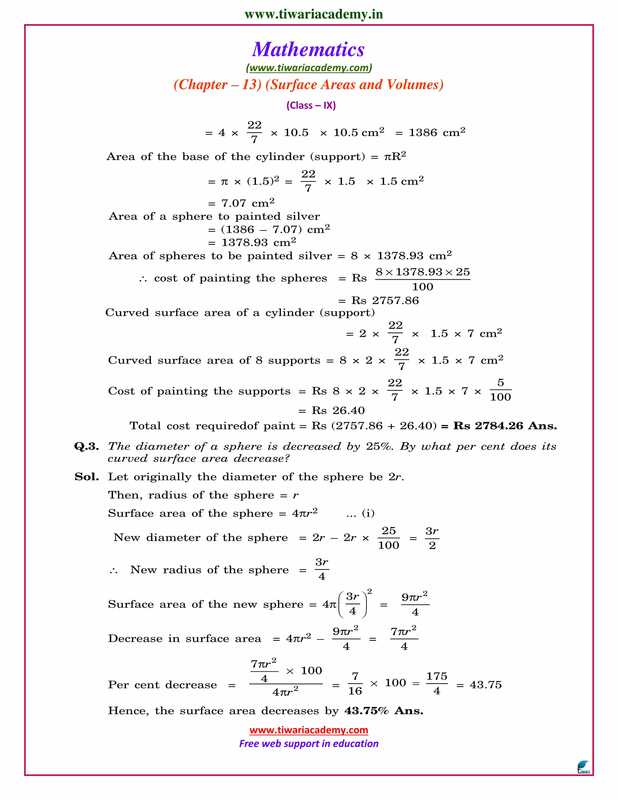 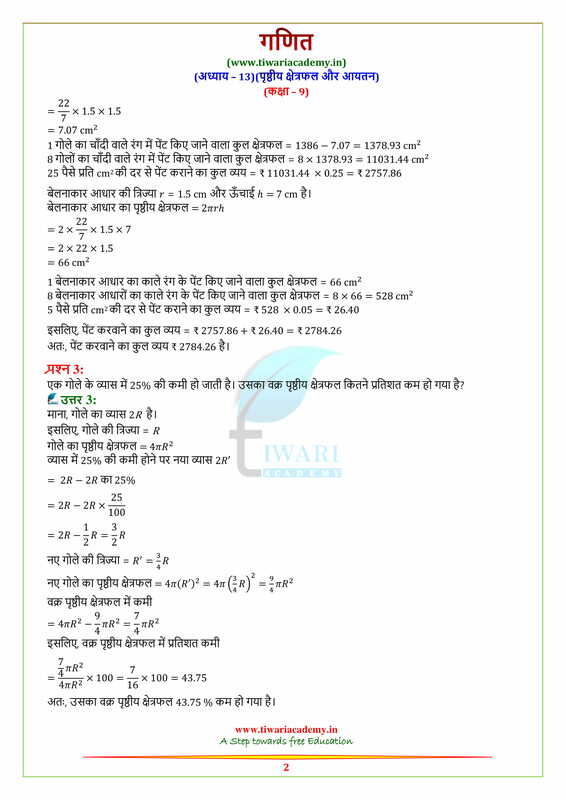 NCERT Solutions for Class 9 Maths Chapter 13 Exercise 13.9 Optional exercise of surface areas and volumes in English Medium and Hindi Medium free to use online. 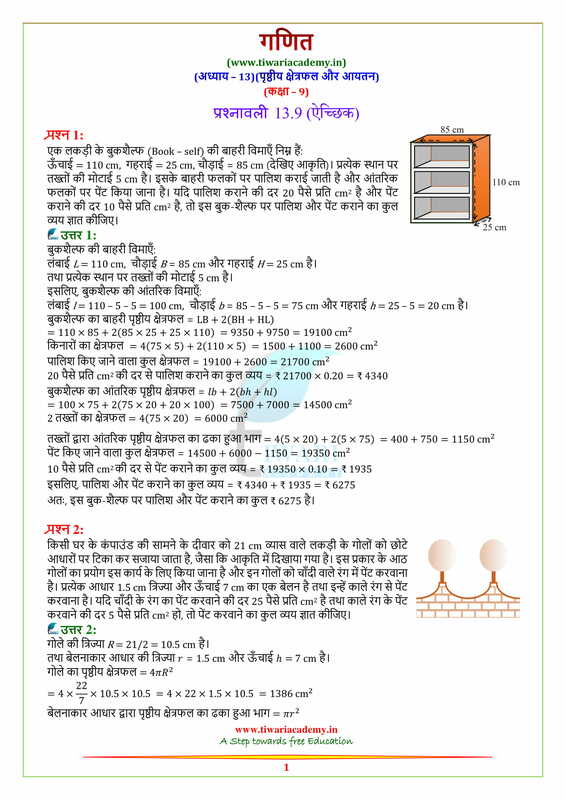 NCERT Solutions for class 9 all subjects based on Latest CBSE Syllabus are available free to download. 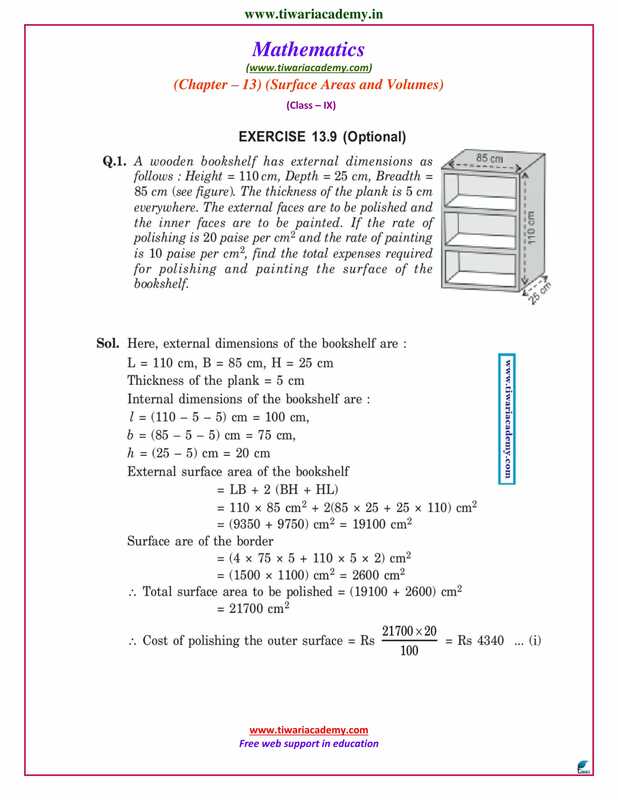 The solutions of other exercises like Exercise 13.1 & 13.2 or Exercise 13.3 & 13.4 or Exercise 13.5 & 13.6 or Exercise 13.7 & 13.8 are also given to use online.